Most appliances are meant to have a long lifespan, with proper maintenance. However, homeowners do not do a good job of caring for their appliances the way they should. If you learn how to correctly care for the appliances in your home, you’ll be amazed at how much longer they’ll last. As experts, we like to share our tips, so that you can get the most out of your home without having to pay for constant repairs and replacements. The most important key to remember is to limit what you put down the garbage disposal. Only use it for food. Avoid putting fibrous or greasy foods down your sink. Put as much as possible in the trash can to avoid clogging the sink or breaking the disposal. Regularly run cold water down the drain for several minutes, especially when you’re using the disposal. Use baking soda down the drain to minimize bad odors that may come from food sitting in your disposal. 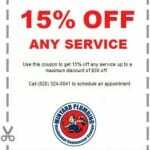 Have your disposal routinely cleaned and sharpened professionally. Following these tips for caring for your garbage disposal will ensure that it will have a much longer lifespan. It can be easy to put off maintenance until you have an appliance break, but that will be much more expensive. 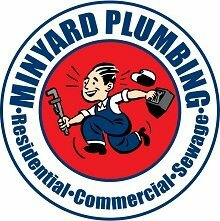 You’ll find that if you are careful with how you use your disposal, and with how you clean it, it will last a long time.